There was a period in European and World history when Kings led their forces into battle. One such ruler became a legend in his time and on the silver screen, such was El Cid, actually named Rodrigo Díaz de Vivar, Prince of Valencia. In legends and screen play and perhaps reality El Cid led his troops nobly even into death. In battle after battle with the invading and conquering Moors he charged at the enemy taking arrows and other blows which would have felled a mere mortal, yet again he would ride to lead the charge day after day. Well, eventually the Moors figure if they would simply once and for all murder El Cid the day would be won. Such was his stature and the fable of his immortality. That day in battle he took sufficient arrow strike to resemble a pin cushion upon a bleeding steed, yet he hobbled back within the city wall and into the castle’s battlements. As he lie dying, in the movie, it was deemed he must lead the troops the next day to give them courage and win the battle, the war was to be lost, but that is mere history. They placed the cleaned and shining armor, likely a new suit as there were no arrow holes in this armor, upon the corpse of El Cid and attached him firmly upon his saddle and he led the troops out one last time onto the field of battle and it did give the Spanish troops high valor and broke the Moors who now too believed El Cid to be an immortal enemy they would never defeat. One would believe that such leadership is simply for Hollywood and legendary fighters but there are still such leaders in modern day recent history. One such leader was Queen Elizabeth II (Elizabeth Alexandra Mary) of England. Then there was her husband, Prince Philip, Duke of Edinburgh. Good Prince Philip claimed that merry old England would suffer interminably should their monarch die in the bombing of London and fled to a northern Scottish castle beyond German bomber range for the duration, but we are not interested in this character. Queen Elizabeth II (Queen Elizabeth from here on) did not retreat with her husband believing firmly that the people needed their leadership, their royalty, to be with them, share their threats, stand against the same dangers and live and lead by example and giving them hope and heart. Just an aside mention, it is rumored that indirectly Queen Elizabeth supported Prime Minister Winston Churchill when some believed a more reasonable leader could admit defeat and work a deal, as had France, with Heir Hitler and were planning to replace Churchill Parliamentary style, stabbing him in the back, and the good Queen Elizabeth subtly spoke of her admiration for the job Winston was doing in leading the people and the war effort, just in passing, to one of those insipid media types thirsting for something juicy, and what a juicy tidbit he received. This is all hearsay and this person in question let what he had heard be known and the buzz saved Winston, the war effort and perhaps the world from defeat. But that is not the high point; the high point was a Queen doing lowly things. After some of the worst bombing of London where the south end, the poorer section of town, were left ruined and still burning and the people were sifting through the rubble for good and unbroken bricks with which to rebuild and possible survivors as well as the dead. Then something remarkable, unbelievable was rumored to occur, Queen Elizabeth rode to view the damage and had her carriage stopped and she, the Queen herself, dismounted and joined combing the rubble for useable bricks and all that included right along next to these poorer and considered most common folk. Rumor has it this was far from a one off and that Queen Elizabeth had aided such efforts on a regular basis though not daily as rank has privilege and Royalty takes such privilege up a few rungs. We will have more on this later but now to the lies. You have heard of the wild-fires striking across Israel burning down forests and possibly a few homes, or that is how friends outside Israel have claimed the coverage has been. There has barely been any hint at acts of violence starting these fires; it is as if Israel has suddenly erupted in many dozens of fires all started in places where the winds would carry then into towns and cities. There has only been one thing wild about these fires, and that has been the wildlings who have started them. These entities who would burn down the natural beauty of the forests and destroy people’s homes through forest fire knowing full-well that the world media would pick-up on the story line being fed the media by leftist, post-Zionists and Arab media that these are all natural events and run with the Israel caught fire and the winds have carried the flames to and fro across Israel lighting thus far dozens of ignition points over close to the entirety of the past week. Nobody elsewhere in the grand world ever appeared to give a passing thought to these fires being arson and most certainly not terrorism. 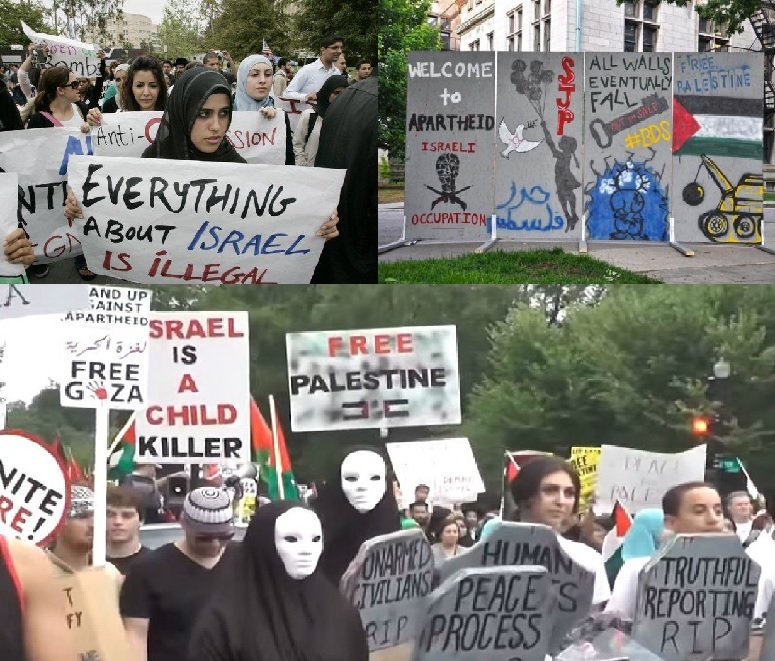 The saddest thing is that there are leftists within Israel demanding we not use terminology which might be provocative, instigative, or in any way suggestive that this is what it really is, a new round in the annual “Fire Intifada” which springs up at the beginning of, you’re going to love this, our winter and the rainy season. The reason is because it is every fall and spring when the winds in Israel blow with a ferocity which spreads fires easily and with such directional and steadily strong and gusting wind one can start a fire and be assured of the path it will take. Below is a map and picture which together tell the story despite it does not quite have all of the fires started in the past few weeks. Looking at the map and it becomes rather apparent that these are not just forest fires as each one is started just eastward of a town, city or other community which are considered by pro-Palestinian Arabs to be Jewish areas (see map below). The truth is some of these communities, Haifa as a particular example where fires have been set (see picture which was just taken of an apartment community on the outskirts of Haifa) are communities which have a mix of Arabs and Jews residing as neighbors working, living and thriving together equally. To the terrorists starting these incidents of the Fire Intifada these are not their fellow Arabs because these Arabs are not out to murder Jews, destroy Jewish property and thus are to be considered Jews and if they end up targeted by these fires they deserve it and brought it on themselves. Please, for the sake of accuracy and honesty, when referring to the wave of wildling fire starts across most of Israel and continuing, though the news is unlikely to spend any additional time reporting on this, refer to this as what it is, an assault, attacks, terrorism, simply it is the Fire Intifada. Thusfar there have been over a dozen arsonist arrests in conjunction with these fires and more are expected should they continue, which is likely as the winds have yet to abate. 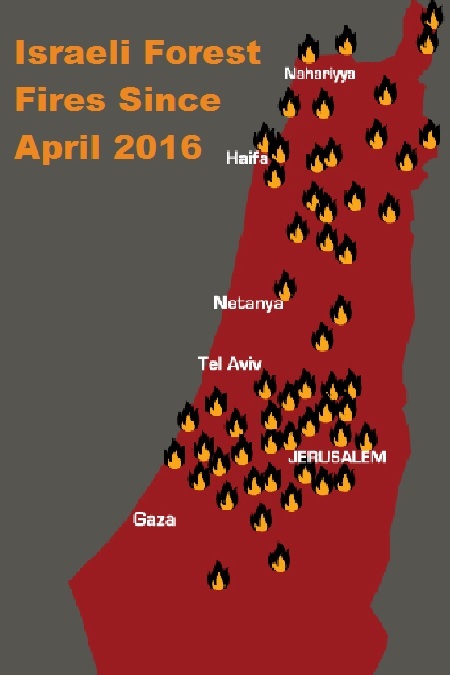 Below is a map of all the fires in Israel since this past April through July (see map below) which does not include any of the most recent fires. These were both the natural occurring fires, yes we admit such do occur, as well as the spring version of the Fire Intifada as the winds do blow twice a year strongest during the seasonal change from cool and wet to hot and drier as there is a short rain season during the summers known as the late rain in biblical texts. These attacks using fires have been used to attack Israel for many years and until the most recent years to year and a half these fires had been set to destroy mostly woodlands and crops making the nation less beautiful and destroying livelihoods more-so than attempts to take lives. But as with most other terrorist activities, the scope and lethality increases every season and this has been the most focused attempt to destroy actual cities and communities even including areas where other Arabs reside as residing amongst the Jews apparently makes one a target for the arson terrorists as well as do the stabbing and vehicle rammings at bus and metro stops. Yes, believe it or not the Jews and Arabs who live in Israel and are neighbors use the same rapid transit to get to and from work and ride the same trains and busses together, Arabs and Jews. When these general assaults which includes bombing restaurants, stabbing attacks of the patrons eating at an open air Tel Aviv area eatery targets Arabs as well as Jews with a one in five chance the person attacked is an Arab and not necessarily a Jew as twenty-percent of Israeli population consists of Arabs. Further, the Israeli Arabs live under the same rules, face the same threats, and live and work amongst Jews with the exception that there are a number of Arab towns and cities which have had almost if not all Arab populations, Bedouin towns and cities which have had almost if not all Bedouin populations and they do not permit others to reside within these areas; just as certain religious Jewish and other religious sects which buy entire areas of towns or have their own Kibbutz or community which they only allow their own to live such as some Haredi religious groups. In most of Israel where there are no residence restrictions Jews, Arabs, Druze, Bedouin and all other racial groups plus Muslims, Christians, Jews, Hindus, Buddhists, Baha’I and others all live in mixed neighborhoods. When walking our dog, cutest little thing, but sorry, no pictures, we often see Arabs wearing traditional garments, Yemeni Jews who wear a different Kippah, Ethiopian Jews and Christians we have met and we all live in the central area of town in relative harmony and all buy fruits and vegetables at the same shuk and shop the same stores, share the same beaches and generally respect our differences and treasure our similarities. While we made Aliyah, we have cousins who are Sabra, native born Israelis. In all candor, these fires threaten all of Israelis lives and especially those living in eastern Haifa as that has appeared to be especially targeted. The message behind these attacks is a simple one. They scream that these are individuals willing to totally destroy every structure, every home, market, shuk, store, hospital, school; everything if that is what is necessary to force the Jews out or murder every last Jew no matter who gets caught in the fires. That is the message and the counter message is we will continue to build, rebuild and live peaceably with those willing to live peaceably besides and with us. There will be no more living in the shadows without a nation of our own which we can call home and know it is a place where we will make it safe and open to other Jews and our friends. Friends are those who wish and desire to build and craft a society which leads the world in medical discoveries, technical innovations, agricultural sciences and any area including living by example. We want a land where there is freedom for all and Torah is respected and kept as the preciousness that it is and where there is freedom of religion, freedom of actions within the laws, fair and decent laws for all to follow and civility which permeates every facet of life. What is strange is that in the Torah it actually stated what we were to offer the people Canaan when we made the exodus to live here from the east and west sides of the Jordan River to the Mediterranean Sea and from the Litany River to the Sinai Negev border, a border not well defined in those times as it was not the most fertile of lands (see map below). 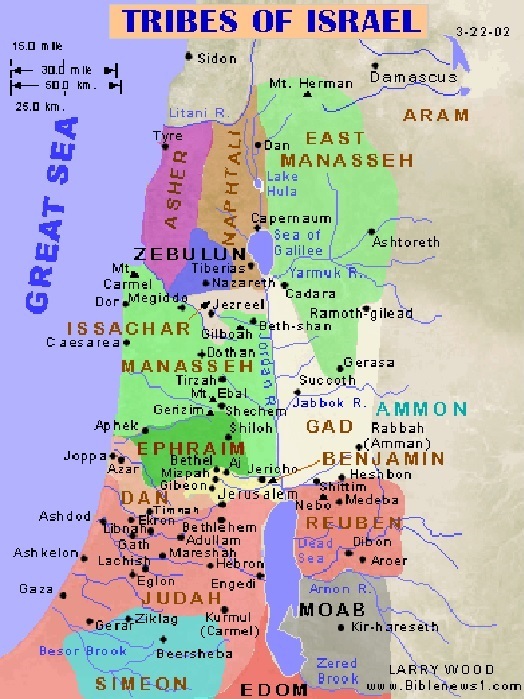 We were to tell the Canaanites that they were to choose from three alternatives; first they could live amongst us and follow the Noahic Code (the Seven Laws of Noah) , they could take all their possessions and depart and we would not make chase after them and would wish them the best wherever they move (and land was not fully settled and there would have been places they could travel and start again) or they could choose to war with us and should they so choose we would wipe all trace of their existence from the Earth killing even their cattle and all else. Simply put, they could live under the basic civil code for establishing just governance, they could leave freely and continue as they saw fit elsewhere, but if they chose war it would be a total war. 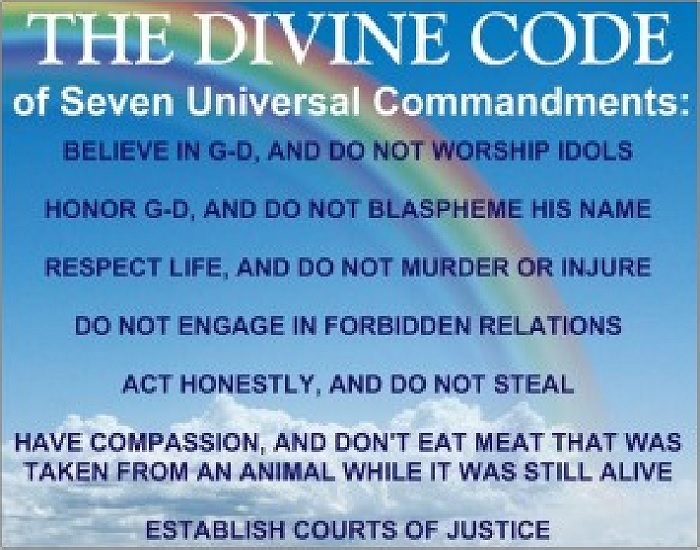 Three Canaanite tribes chose to stay and follow the Noahic Code which required giving up idolatry, made murder, theft and other criminal acts against person and property punishable. This instituted the most basic legal codes, plus required courts of law where bribery was a serious offense as the justice was to be blind. Three tribes chose to leave and they went off and settled elsewhere and are not followed further other than they left with their wealth intact. The rest, a majority, decided they would war with the Israelites and they did leading to a long series of wars which were finally ended during the reigns of King David and King Solomon. Assistance for fighting the flames consuming the land has come from places which make things quite interesting as the Palestinian Authority has assisted and aircraft have been sent on loan from Russia, Cyprus, Turkey, Croatia and Greece while Egypt and Jordan have sent firefighting vehicles. There has also been a Supertanker Fire Suppression aircraft from the United States which had to be hired privately as rumor has it while President Barack Obama has had no comment nor taken any action in a situation which can only be described as an emergency and dire threat. Times like these one sees who their true friends are and we are not discounting the love of the American people, it is the man living his final weeks at 1600 Pennsylvania Avenue in Washington D.C. who we are referencing. The fact that Prime Minister Netanyahu went out of his way to assure that something which could be labeled as help from America was found in this time of need and we thank those in the United States for the lease of this vital piece of equipment. One simple defining factor of these fires has been the destruction to homes and structures where many fires are set just up-wind from Yeshivas, residential communities, Synagogues, Churches, fire stations, schools, hospitals and other high value places. The worst hit has been Haifa where the evacuation of 75,000 citizens from their homes, businesses and lives was necessitated thus far. Reuters’ Bureau Chief in Israel reportedly tweeted a sensationalist Palestinian claim that the fires were set by Jewish settlers trying “to destroy as much as possible of the Palestinian agricultural land.” This report itself remains unsubstantiated. There is good news, thus far, ‘Bless Hashem’ there has been no deaths but one-hundred-twenty-two people were treated for injuries, mainly smoke inhalation at last count. There has been no United Nations special assembly meetings called and none of the United Nations organizations or NGOs appears to have noticed the fires raging across Israel. As noted previously, President Obama has been remarkably silent on the entire issue. The President’s silence sounds deafening as the lengths of condemnation he would have if a Jewish family in Judea or Samaria had the audacity to build a permanent brick bar-b-que outside off their patio or other insignificant structure. 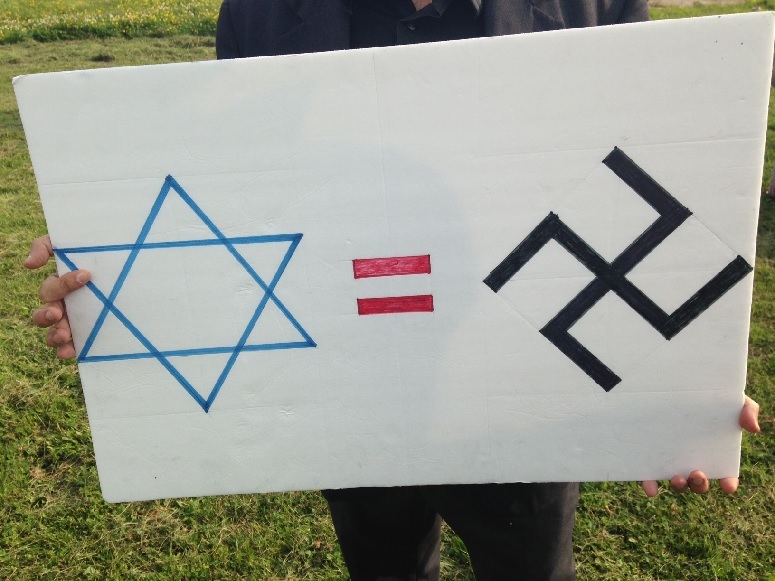 But let seven-hundred homes be destroyed and thousands of acres of forests and farmlands be burned, torched by arson and the victims almost universally appear to be Israelis and not a sound, not a lifted pen or spoken in phone to offer assistance or even condemn the criminal acts. There has been an excess of silence from European Union (EU) leadership, particularly EU Foreign Policy Chief Federica Mogherini. Similarly, the vast majority of European national leadership leading the way in complete silence and that continues on to the Vatican and much of the rest of the world. The news coverage around the world has been equally stressful as they refuse to name the arson behind the fires. The news would have you believe that the thousands who were forced to flee before the flames in Haifa alone went shopping or something, or that it is normal for flames fed by high winds ripped through thousands of acres of farmlands and forests and that everything in Israel is just fine. The one side that is also obvious by the coverage thus far is we can rest assured that there have been no arson threats against Palestinian Arab farms and structures as had that been the case there would have been declarations, denunciations, demands for an inquiry and calls for Prime Minister Netanyahu and various other Israeli leaders heads on pike polls by the end of the day. Still, it must be said that we are very thankful to the aid sent by the nations mentioned above and will remember to pay these voluntary offers and assistance should the time ever arise that such is required. Some we have already proven to be that sort of friend and we will continue as that is part of being Israel, doing what is correct despite what others may choose to do or not do. What might surprise people is that after Katrina struck; Israel, through the government and aid agencies, offered field hospitals and hundreds of doctors, nurses, technicians and other experts in trauma, natural disasters and public health. Further, Magen David Adom (Israeli version of the Red Cross) began “United Brotherhood Operation,” which sent a plane-load of supplies and financial assistance; Israel sent airlift arrived in Little Rock, Arkansas with an eighty-ton shipment of humanitarian aid, including baby food, diapers, water, ready-to-eat meals, clothes, tents, blankets, mattresses, stretchers, first aid kits, wheelchairs, and other medical supplies; IsraAid sent a delegation of medical personnel, psychologists, and experienced search-and-rescue divers. The 18-member team – which included physicians, mental health professionals, trauma specialists, logistics experts and a special unit of Israeli police divers – arrived in St. Bernard Parish and Plaquemines Parish on September 10 and spent a week and a half assisting fire department search-and-rescue squads and sitting in on daily planning meetings that included local leadership and a complement of Federal Emergency Management Agency (FEMA), police, military, fire representatives and medical team, five universities in Israel welcomed displaced American students from the affected areas and invited both undergraduate and graduate students to continue their studies in Israel. In particular, medical students unable to attend the Tulane University in New Orleans can attend Tel Aviv University’s Sackler School of Medicine. Israel was eventually allowed to assist after Sandy struck New York City and surrounding areas. Initially New York Governor Andrew Cuomo rejected a formal offer by Israel to assist in emergency disaster relief, while on the other foot, other authorities in New York State have formally asked Israel for “all aid and or assistance.” Israel, as noted in the above article, delivered. Israeli aid to Haiti earthquake victims, the Philippines after a typhoon struck, relief to cyclone victims in Myanmar, long term aid programs for starving communities in Malawi, rehabilitation and relief in South East Asia following the devastating tsunami, psycho-social programs for Darfur refugees on the Chad-Sudan border, and aid to Somali war refugees in Kenya, Japan after the devastating double-hit of earthquake and tsunami which caused the malfunction and devastating leakage of an entire nuclear power facility, and the list almost appears endless as you go back through tragedies worldwide, Israel is there if permitted by governments. To assist without the government’s permission is called an invasion, just for the record of why approval is so vital. With hope and prayers these fires will pass and we will continue with building a better home and a better nation through simply trying to do what is right even if many nations wish to see us fail and be destroyed. That we cannot allow to happen again as this time we must have returned home for good. May Israel bless Hashem and Hashem in turn bless Israel, we know he has blessed our lives and for this we give our eternal thanks in prayer and effort.